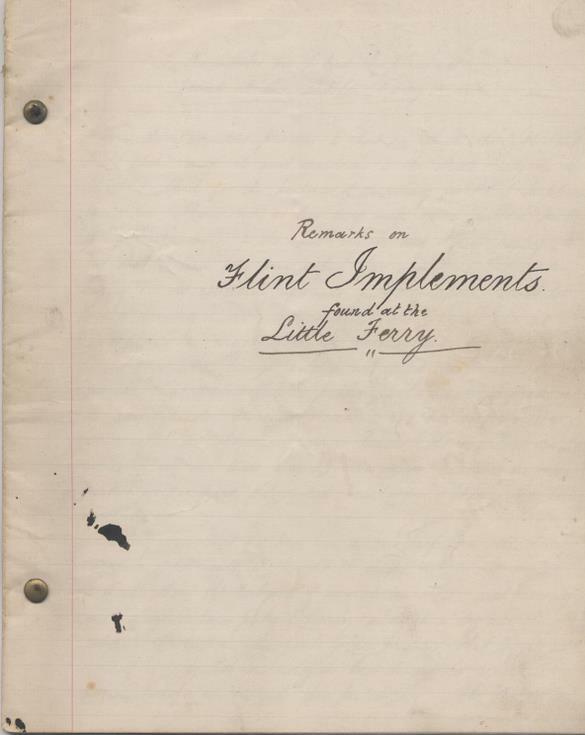 Remarks on Flint Implements found at the Little Ferry, Thomas Stevenson 6th July 1880. Description of finds made at Littleferry by the Sutherland Field Club, and by Mr Stevenson on subsequent visits. Mentions accompanying sketch of find spots which appears to be missing. Ends "At this date [4th Dec 1880] my collection numbers 256 arrow-heads perfect and imperfect and about 1200 scrapers, trimmed flakes, borers and bolas or sling-stones". 18 sheets clipped together.